War elephants were a uniquely Indian innovation – or skill, if you like. So, how did Hannibal get elephants into his Carthaginian armies that invaded – and came within spitting distance of Rome. In 218 BC, Hannibal from Carthage (near modern Tunis) crossed over the Alps and attacked Rome. The Roman army was surprised. They did not expect any enemy to cross frozen Alpine ranges and attack them. And after the surprise, came the terror. Hannibal brought in elephants with his army. Terrorized Romans had no experience against elephants – and no answer either. And how many elephants did Hannibal have? Hannibal started with 37 elephants. By the time he crossed the Alps, twenty were left. By the time he reached the outskirts of Rome, he was left with just one – Surus. But, Rome never overcame the surprise of Hannibal’s attack or the terror of elephants. Over the next few years, Hannibal defeated the Roman army in a number of battles. Hannibal’s allies were the Numidians and other African rulers. For the last 2000 years, Western historians have written reams on Hannibal’s campaign – and his elephants. Recently, (from 1994-2006) a Stanford University team worked on tracing Hannibal’s Alpine Route. During the 12 years, they asked all the questions. Except the really important ones. Plutarch narrates that Hannibal had a high opinion of Pyrrhus – and it is speculated that he may have read Pyrrhus’ manual on generalship. Pyrrhus (of Epirus and Macedon), Alexander’s cousin, used 20 elephants c.280 BC against the Romans. And won a ‘Pyrrhic’ victory. few only of Ptolemy’s elephants ventured to close with those of the enemy, and now the men in the towers on the back of these beasts made a gallant fight of it, striking with their pikes at close quarters and wounding each other, while the elephants themselves fought still better, putting forth their whole strength and meeting forehead to forehead. The way in which these animals fight is as follows. With their tusks firmly interlocked they shove with all their might, each trying to force the other to give ground, until the one who proves strongest pushes aside the other’s trunk, and then, when he has once made him turn and has him in the flank, he gores him with his tusks as a bull does with his horns. Most of Ptolemy’s elephants, however, declined the combat, as is the habit of African elephants; for unable to stand the smell and the trumpeting of the Indian elephants, and terrified, I suppose, also by their great size and strength, they at once turn tail and take to flight before they get near them. Two things we know – which Polybius did not. One – the African elephant is larger than the Indian elephant – not smaller. Two – African elephants have never been tamed in large enough numbers to be used in wars. In the rare instances, where African elephants have been trained, it has seen the involvement of Indians – both Indian trainers and Indian elephants. But, we are getting ahead of the story. In the battle against the Massagetae, resulting in the defeat and death of Cyrus, against Queen Tomyris, Indian elephants played a crucial role. Thereafter, Persians (then Zoroastrians) did not use elephants for a long time (considered evil by Zoroastrians). Possibly, the outcome against Alexander would have been different, had they used more elephants at Gaugamela – instead of 12-15. The story of Semiramis the Assyrian Queen and the Indian King Stabrobates by a Greek ‘historian,’ Ctesias (in Diodorus Siculus) is of interest. Apparently, foreign armies used ‘faux’ elephants to frighten enemies. One of Alexander’s generals, Seleucus Nicator traded in some part of his empire, for 500 elephants. After Alexander’s death, in the ensuing Diadochi wars, at the decisive battle of Ipsus, the Indian elephant unit won back a larger territory for Seleucus than what he had ceded to Chandragupta for obtaining them. It was the Indian elephant unit, that was “largely responsible for the victory which netted him (Seleucos) the province of Asia”. At Ipsus, the Seleucid army fielded “the largest number of elephants ever to appear on a Hellenistic battlefield” which turned out to be, as a historian describes as the “greatest achievement of war elephants in Hellenistic military history.” And Pyrrhus learnt his lessons, on using elephants, during the Diadochi wars. At the decisive battle of Ipsus – where it was the Indian elephants that gave Seleucus a victory. If the Roman armies could be frightened by twenty of Pyrrhus’ elephants, or Hannibal’s thirty-seven, these war elephants did have significant military value. 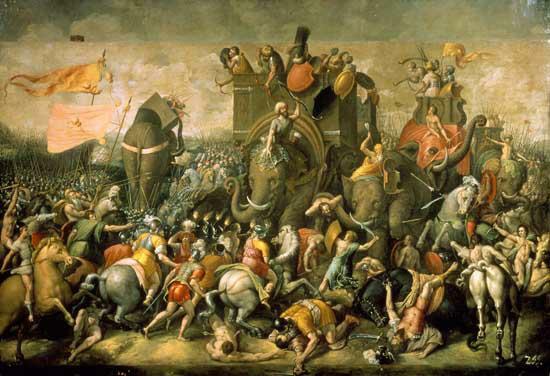 Again, if Roman armies could be frightened by 20 elephants of Pyrrhus, or Hannibal’s 37, what happened to Alexander when faced with 100s, if not 1000s of elephants, which were common in Indian armies. To put that in perspective, Chandragupta Maurya had thousands – figures range between 5,000 to 9,000. And how many elephants did Porus’ army have? 200 elephants is the estimate by Greek hagiography. So, if elephants were so valuable, why did elephant training not take root in other countries? Why were elephant trainers not encouraged? Where did the elephant trainers of Pyrrhus and Hannibal disappear after 100 BC? Seleucus did set up a centre for elephant training at Apamea, a city named after his Bactrian wife, Apama, manned by Indians. And actually, having learnt their lessons, the Romans, in 163 BC, sent a contingent into Laodicea, Syria, to neutralize this elephant unit and destroy Seleucid navy. Again there are inconsistent reports about the search for war elephants by the Greek Ptolemy rulers of Egypt. Ptolemy-I banned the killing of elephants. Ptolemy-II Philadelphus, then supposedly recruited 300 African elephants from modern day Somalia, Eritrea, Sudan and Ethiopia – which were delivered to him by the Kushites (Ethiopians). Supposedly, the Kushites had tamed elephants – though not for war purposes. Apart from the few Kushite elephant riders, Ptolemy II sent special envoys to India to recruit elephant riders. These ill trained elephants and their riders were singularly unsuccessful against the Indian elephants (in the Seleucid army) at Raphia (Polybius in Raphia (book V). Probably the figure of 300 elephants in Ptolemy’s army was inflated for disinformation purposes. The Kushites did not (possibly) deliver African (usually, larger) elephants, but switched these with small Asian elephants. These smaller animals were probably rejects, going at a discount, from other professional Indian elephant trainers. Two things that Ptolemy (possibly) did not know – One, elephants (Indian or African) cannot truly be ‘tamed.’ Two, elephants can only be taught to trust and do ‘favors’ for specific elephant trainers. Individual elephants form a life long link with individual trainers. Alexander – Hagiography and /or Cultural Dacoity? The mythos surrounding Alexander calls for serious questioning of the sources themselves. What and who are these sources? Our knowledge of Alexander therefore rests on histories produced long after the fact: a late first-century b.c.e. section of a world history written in Greek by Diodorus of Sicily; a Latin History of Alexander published by the Roman author Quintus Curtius Rufus in the first century c.e. ; a biography in Greek by Plutarch of Chaeronea, also produced in the first century c.e. ; a history written in Greek by Arrian of Nicomedia sometime in the second century c.e. ; and Justin’s third-century c.e. Latin abridgment (Epitome) of a lost Greek secondary account by the first-century author Pompeius Trogus. Each of these five narrative treatments of Alexander’s reign claims to be a serious work of history or biography, but all five contradict one another on fundamental matters and cannot be considered absolutely reliable unless somehow corroborated by other evidence. Beyond these texts, we have little except a compilation of legendary material known as the Greek Alexander Romance, a wildly imaginative work filled with talking trees and other wonders that later thrilled the medieval world. (from Alexander the Great and the Mystery of the Elephant Medallions By Frank Lee Holt). This is the foundation on which Westerners have based their version of Indian history. 400 years after Alexander’s death, Arrian’s hagiography is today seen by the Western world as the last word on Alexander. One man’s word as history? This version of history alleges that Alexander conquered India by defeating King Porus. Western historians cannot see the contradiction between a ‘disunited’ India with more than a 100 kings – is suddenly ‘felled’ due to the defeat of one King Porus? Alexander’s ‘boasts’ about his conquest of India, a super-power then, did get him mileage. Subsequent to his Indian ‘conquest’ Alexander minted elephant coins – which modern Western historians ascribe to his conquest of ‘India’ by winning against Porus. The significance of these coins itself is questionable. Elephant units, managed by Indians, were a common feature in Central Asian region – and later Greek armies also co-opted elephant units. 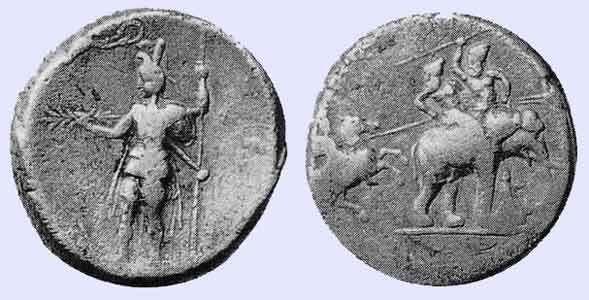 These elephant coins could well have been stuck to celebrate Alexander’s victory at Gaugamela over Darius. 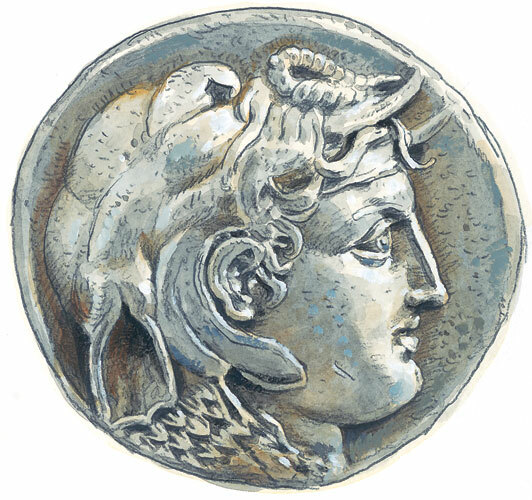 Elephant coins were also issued by Ptolemy, to lend legitimacy to his rule, showing Alexander wearing an elephant head looking like a mixed Zeus and Ammon. Indian archaeology, writers and history do not know of any Porus – or Alexander. Why did Alexander’s undefeated troops, after the Indian campaign, suddenly feel homesick? As per Arrian, the only ‘victory’ celebration by Alexander’s troops was after the battle with Porus. Surprising – that Alexander’s troops did not celebrate any victory, till the very end of the campaign. 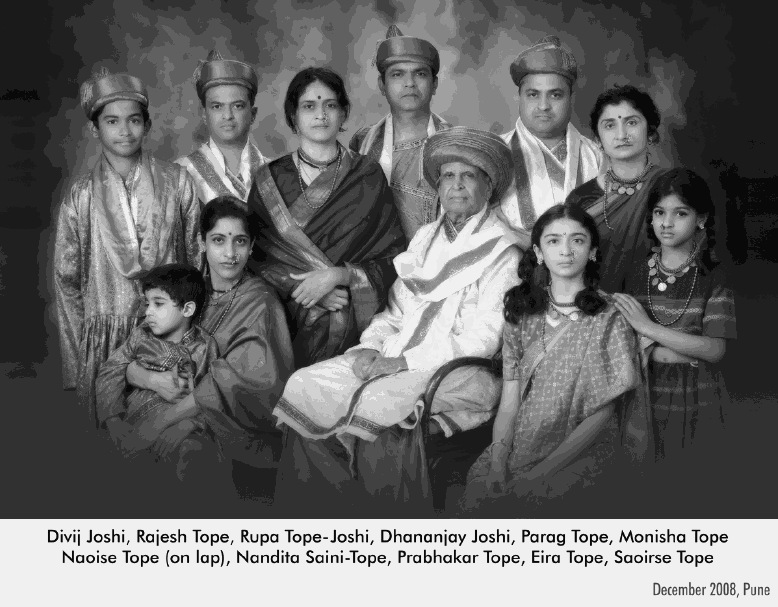 Was it instead, a celebration of their ‘Great Escape’ from India – with their lives? During the (nearly) half-year long siege of Tyre, Alexander’s ‘tired’ soldiers’ were reinforced by fresh troops reinforcements from Macedonia. Before his India ‘campaign’, Alexander cashiered thousands of his Greek troops, at Ecbatana, who wished to return home. After the death of Darius, at Ecbatana (330 BC), to all the Greek officers, wishing to return home, Alexander awarded one talent of gold (approx. 25k-60 kg). At this stage, Alexander also inducted into his army, fresh Persian soldiers, trained in Macedonian style of warfare. Again, after his marriage to Roxanne, 10,000 Persian soldiers joined his army. Hence, the troops left were either fresh or those who decided to stay with Alexander. 326 BC was the year of the battle with Porus. The pleadings of Coenus, that Alexander’s men, “long to see their parents, wives, and children, and their homeland again.” were patently the cries of frightened soldiers. Once back in the folds of the secure Macedonian Empire, the same ‘tired’ soldiers, joined the mutiny at Opis and revolted after they were released by Alexander, to return to Macedonia. This demonstrates that reason for the revolt in India, was not home-sickness. Amongst Alexander’s first actions in India were his attempts to cobble up alliances. His most famous one was with Ambhi – the ruler of Taxila. In India, Alexander had to pay the King of Taxiles, Omphis, (Ambi) – 1000 talents of gold (more than 25 tons of gold) – to secure an alliance. To cement this alliance, Alexander ‘gifted’ Ambhi with ‘a wardrobe of Persian robes, gold and silver ornaments, and 30 horses, 1000 talents in cash’. 1000 talents is anywhere between 25,000-60,000 kg of gold! Does this look like Ambhi accepted Alexander as the conqueror of the world? Or Alexander ‘persuading’ Ambhi to seal an alliance? The payment of 1000 talents in gold to Ambhi aroused much envy and outrage in Alexander’s camp. It prompted Meleager, to sarcastically congratulate Alexander for ‘having at least found in India a man worth 1000 talents.’ What seals this incident is Alexander’s retort to Meleager, “that envious men only torment themselves.” (C 8.12.17 & 18). As Alexander retreated from India, a Mallian force attacked the Macedonian army. In this Mallian attack, Alexander was himself injured – and his very life was in balance for the next many weeks. Greek writers wax about Alexander’s grief at the death of his horse, Bucephalus during the Indian campaign. Ekkehard, a 12 century Benedictine monk, a participant in the Crusade of 1101, had many such questions, in his updates of Chronicon Universale, (probably co-written by Frutolf of Michelsberg). Coming so soon after the schism between the Greek and the Roman Church, Ekkehard must also be seen through the prism of Christian Church politics. After all, how could a monk of the Roman Church let go of such a juicy Greek target? Similarly, in 19th century environment, Alexander’s inflation must also be seen in the context of Western colonialism. After all, colonialism could only work on the basis of ‘Western’ superiority. By 303 BC, less than a 20 years after Alexander’s death (323 BC), Alexander’s greatest general, Seleucos Nicator, sued for peace with Chandragupta Maurya. Megasthenes was Seleucos’ Greek ambassador at the Indian court. Megasthenes’ account of India (which, allegedly does not exist) was widely quoted by other Greek historians. His account of elephant capture using decoy female elephants was (presumably) known in Greece. So, where did Hannibal and Pyrrhus get their elephants from? Elephants obviously cannot be transported over sea – cooped in a cage for weeks or months. This is assuming that strong enough to hold an elephant for 2 weeks to 2 monthscages and holds could have been made – 2000 years ago. The only country in the world to use elephants, significantly, in peace and war were Indians – for more than nearly 5000 years. Alexander’s turning back at Indian borders was symptomatic of the fear that Indian elephants evoked in the rest of the world. The use of elephants was significant only to Indians. In most of China, elephants became rare by 300 BC. Although the South Han dynasty maintained a small elephant unit in their army, Chinese were never significant users of elephants in armies. Elephant capture (khedda), training, manuals and terminology originate in India. Elephant riders (mahavats), elephant chairs (howdahs) and elephants in heat (masth) are all Indian terms. From India, elephant management skills, in a limited manner spread, to Sri Lanka, Thailand, Cambodia and other parts of South East Asia. So, who was riding Hannibal’s elephants? Did Hannibal and Pyrrhus create an elephant training school, get the right recruits, identify the right species, capture wild elephants, tame these wild elephants and induct these elephants into their armies in a short space of a 3-7 years? For a single campaign? Unlike horses, elephants can’t be ‘broken’ or ‘tamed.’ They cannot also be trained to trust ‘human beings’ as a species – like horses can be trained. In India, elephants have been managed, by skills garnered and conveyed over centuries, for generations, within a small specialized community. The English word, elephant is derived from Sanskrit word for ivory (ibha+danta = elephant+teeth). Unlike horses, elephants can be ‘ridden’ only by specific individuals. Each elephant has a specific ‘rider(s)’ – and mahavats are not interchangeable. Elephants trust individual mahavats – and this relationship is nurtured for the life time of an elephant. Did Hannibal and Pyrrhus, create a team of elephant trainers for just a few years? Where were these elephant trainers themselves trained? Where did these trainers subsequently disappear? Since, elephants were such a valuable military advantage, why did Hannibal’s and Pyrrhus’ elephant managers disappear? Why were these skills not transferred considering the obvious commercial value? The so-called ‘Syrian elephant’ has been seen by some as a distinct species of the Asian elephant (i.e. E.maximus assurus). However, this identification rests on dubious rounds, namely tusk shape and representations of the animal, e.g. (in the Theban Tomb of Rekhmira, the vizier of Thutmose III (TT100, see below). Osteological work has been limited, but molars found at Ugarit suggest that the elephant of the western Asia was was identical to the living species (E.maximus). (from Ancient Egyptian Materials and Technology By Paul T. Nicholson, Ian Shaw). These Syrian were possibly Indian elephants, obtained by Syrian kings, Seleucus I and Antiochus III – at a high costs. Did this ‘Syrian’ elephant breed, supposedly became extinct, promptly and conveniently, after winning battles and wars, for Pyrrhus and Hannibal around 100 BC? paper by John Mathew of the Department of History of Science, Harvard University, in my lap. His paper, titled ‘Nichola Poussin and the vexatious case of the elephants of Hannibal’, wonders why Hannibal chose several Asian elephants for his campaign, including his own Surus. Mathew’s interest in the subject was kindled on seeing a famous painting, from the 1620s, in Harvard’s Fogg Museum. The painting, titled Hannibal Crossing the Alps, was done by a French artist, Nicolas Poussin, and shows Hannibal on an Asian elephant during that epic march. The reason, Mr.Matthew, why it is Asian elephants (and specifically Indian elephants), is that war elephants is not everyone’s game. It was a game that only Indians knew how to play! Maybe you (Mr.Matthew) don’t like the answer, but sometimes there are inconvenient answers. Is it the fear, that this answer, may raise many more questions, which possibly stops you from giving the correct answer? Question: Quick! What is common between Western (Eurocentric) history and Swiss cheese? Answer: Easy! They are both full of full of holes. The simple answer is, Indians (from the sub-continent) or the Hittite stragglers, from the armies and kingdoms of Indo-Aryan Elamite-Hittite-Mittani rulers. The probable source of the Latin word for elephant , luca bos is also derived from the Hittite word, luhabos, meaning ivory. The modern word elephant, is also possibly derived Indic words, ibha+danta – meaning elephant teeth. These Indians were in Europe with Hannibal and Pyrrhus. Either fighting these battles (as mercenaries) or as elephant riders or training an (improbable) second line of Greek elephant riders. Polybius does mention that it was the Indoi that were riding these elephants – but modern historians take considerable pain to deny this. The Stanford University has approved a project to work on tracing Hannibal’s Alpine Route. During the 12 years, they asked all the questions – except the really important ones. 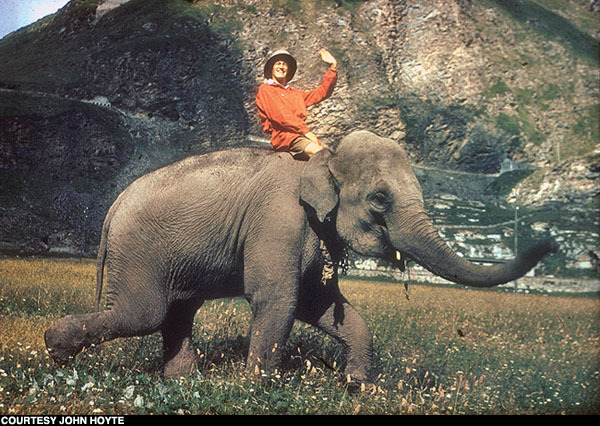 Another, John Hoyte, British engineering student decided to trace the Alpine route on an elephant – an Indian elephant, called Jumbo, borrowed from the Turin Zoo. Maybe, these questions would be answered if this trek was done on African elephants – clearer answers! The only country which has a 5000 year history with elephants is India – from Indus Valley to date. In peace and in war. But, Western historians tie themselves in knots denying the Indian connection. And that strengthens the ‘intellectual export’ from India to Europe theory rather than the ‘Greek miracle’ story. The irony is that you’re just as biased as the ‘eurocentric’ history and scholars you ridicule, but what is history if not bias? his campaigns from 280-275 B.C. Hannibal’s elephants, therefore, were NOT the first the Romans had experienced. David – I am confused. I have given great coverage to Pyrrhus in the post above. I have not said anywhere in the post that Hannibal’s elephants were the first that Romans faced. Can you point out the offending sentence. Please. when hannibal came with this crazy plan, the coeval military strategists ridiculed him for being such a fool. obvious logistics seemed to outweigh hannibal. but hannibal was none less than a military strategy genius on par with kautilya and sun tzu. so he responded to the skeptics with the famous aut viam inveniam aut faciam. he said he will find a way or make one. though he couldnt find a way, he made one. @StPTBarnum Any reason to assume African armies didn't use their own African elephants? In General, Indian history has been written by foreigners, not Indians. History for history’s sake ahs never interested us. All our literature, or at least most of it pertains to the acquisition of knowledge, meditation techniques, mathematics, exercises, basically things to improve all dimensions of the individual. These are not my statements. These are the statements of Bhikkhu Bodhi, a British Buddhist monk. So everything that passes for Indian history is to be taken with a grain (a sack really) of salt. Propaganda is more like it. Our greatest military achievement was stopping the inexorable march of armed militant Islam. Look how Persia, Egypt and Byzantine simply collapsed before Islam. The countries of Burma, Thailand and the rest of SE Asia really owe us in that regard. How did the elephants get from North Africa [Carthage?] across the sea [Gibraltar?] to Europe? Elephantfloat? swimming? Snorkeling? Jumbo barges? how? Or were the elephants already in Spain born `n raised on an elephant farm? / How?? This is just what I needed to finish my homework. Just wanted to point out that there are many scholarly journals saying that Hannibal probably used mostly African Elephants. When Polybius wrote that the African elephants were smaller than the Asian/Indian ones he was correct, but so are you when you said “the African elephant is larger than the Indian elephant – not smaller”. This is because there are two sub-species of African elephants, bush and forest. Hannibal most likely used the forest ones as they are smaller than Asian elephants, while the African bush elephants are larger than both forest and Asian elephants.